This article outlines how to solve any potential issues you may encounter when attempting to redeem our free Platinum offers. In Celtic Heroes: Dragonfire you are able to earn free Platinum by completing offers from our various partners. In some circumstances you may encounter a problem where you do not receive any Platinum by completing an offer. If you do have such an issue please refer to the following hints and tips which should solve your problem. Offers must be completed within 7 days of download otherwise they will expire. Fully download the application listed in the offer. 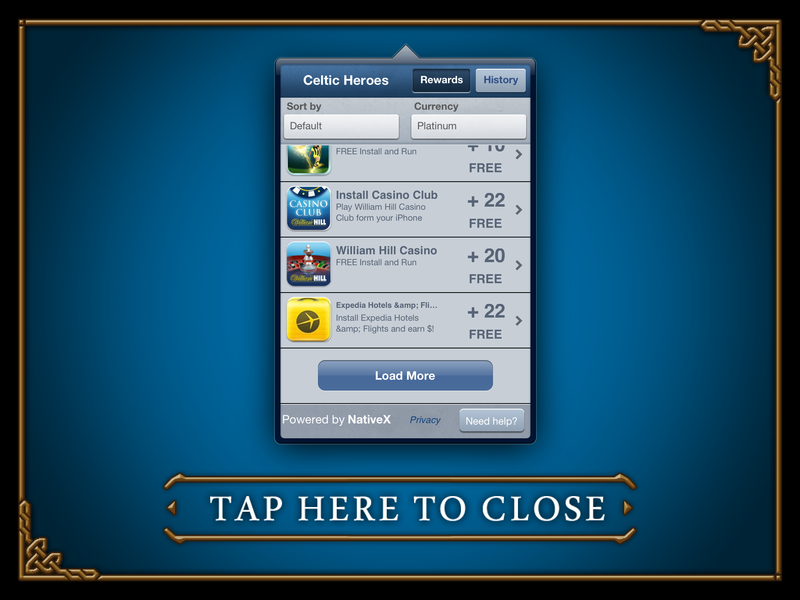 If it is an Install and Open offer, simply open the required app and return to Celtic Heroes. If you completed a paid offer, please note these may take up to 6 hours to verify. If an offer is still pending, return to the Offer Wall and find the offer again. Check the details of the offer to make sure you have completed all actions required. In most instances, if you are not receiving your Platinum this will be due to you having missed a step in the offer. Please read the instructions for each offer carefully and ensure you fully complete all the requirements of an offer to receive your Platinum. If you are still having issues with redeeming an offer, please contact the NativeX support team directly. Please do not send any support requests regarding Platinum offers to the Celtic Heroes Support Team as they will be unable to help you. Return to the Offer Wall. 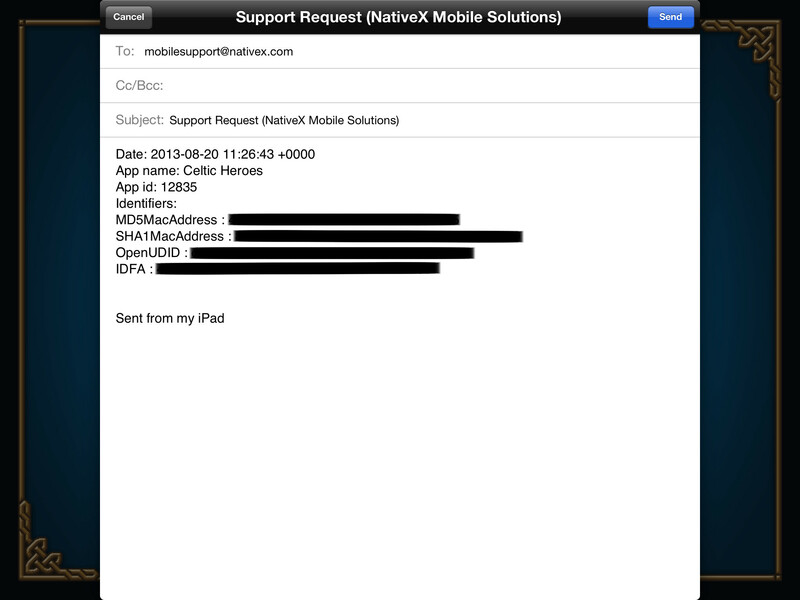 Tap this box, and this will automatically generate an e-mail which you can send to NativeX. Simply add your issue to the bottom of the automatically generated text, and then hit Send. Please ensure you do not delete any of the information that is automatically generated by the e-mail, as this information is essential in helping solve any problems you may have. If you have not received any Platinum after completing an offer from TrialPay, please firstly ensure that you have fully completed all the required steps. If you have checked you have completed all the steps and have still not received any Platinum then please contact TrialPlay directly. Scroll down to the bottom of the offers page, and tap on “Help”. On the next page fill out the required information in order to gain access to the TrialPay support forum where you can post your issue. The TrialPay Support Team will then be able to assist with your problem. 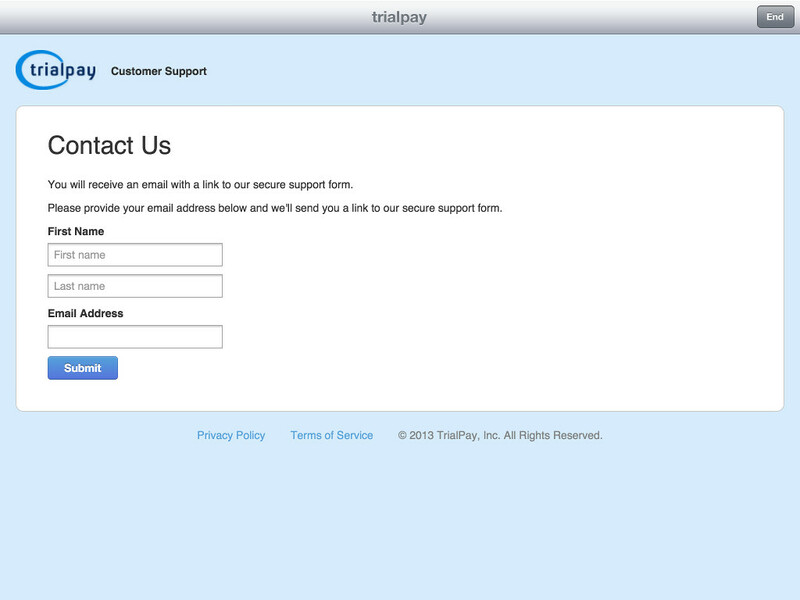 You can also visit the TrialPay FAQ page by clicking here.